God spoke from heaven on two other occasions recorded in Scripture. At the mount of transfiguration, God told Peter, James and John to stop fretting about building tents for Jesus, Moses and Elijah, but instead to pay attention to Jesus’ instructions (See Luke 9:35). And God spoke once again when Jesus was struggling over His fate on the cross. John 12:27-28 tells us “Now is my soul troubled. And what shall I say? ‘Father, save me from this hour’? But for this purpose I have come to this hour. Father, glorify your name. Then a voice came from heaven: ‘I have glorified it, and I will glorify it again.’” God was surely glorified through Christ’s obedient offering of Himself for our sins on the cross. With each profession of faith, God is glorified again. 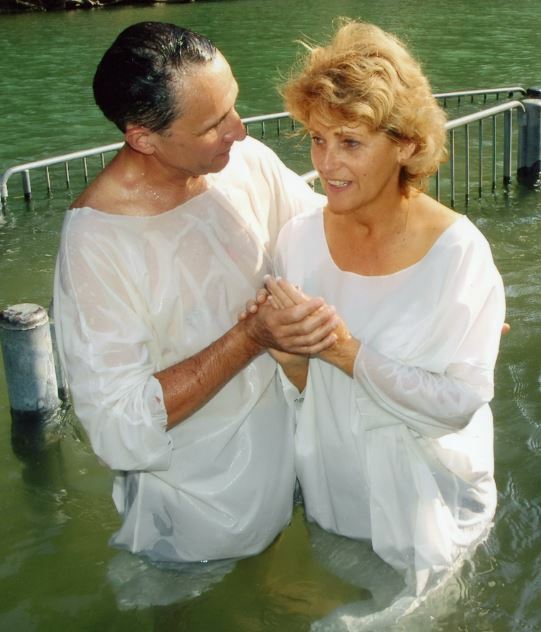 Being baptized again in the Jordan River is another expression of our faith in God. It’s a reaffirmation. I like to think that God is also “well pleased” with us when we do that because it is a simple reaffirmation of faith. God is glorified again in our re-baptisms. Hebrews 11:6 teaches us that “without faith it is impossible to please God.” It is our goal as believers to please God. Paul calls us to this endeavor as he wraps up his instructions to the Thessalonians. He says, “Finally, then, brothers, we ask and urge you in the Lord Jesus, that as you received from us how you ought to walk and to please God, just as you are doing, that you do so more and more” (1 Thessalonians 4:1).